When it comes to saving the country and sacrificing ourselves for the sake of our nation, women barely have any role models. And why is that? Well, because for the longest time, women were considered too fragile to be a part of the Indian Army, Indian Air Force, and the Indian Navy. A few things did, however, change when, in 2016, the first batch of three women fighter pilots was commissioned into the Indian Air Force. Similarly, the Women In Armed Forces report publihsed by the Ministry of Defence, shows that the women in the Indian Navy are now being employed in combat, combat support, and support roles in their roles as pilots and observers. The Indian Navy got its first ever female pilot in 2017 thanks to Shubhangi Swaroop. However, the Indian Army still does not undertake women in direct combat roles. The report further states that the Indian Army has just 1561 women employed in indirect combat roles when compared to the 41,074 men serving their country. Doesn't that just make you furious? Are women only allowed to serve their nation in the medical, dental and nursing departments? Or will they finally become a part of the war? 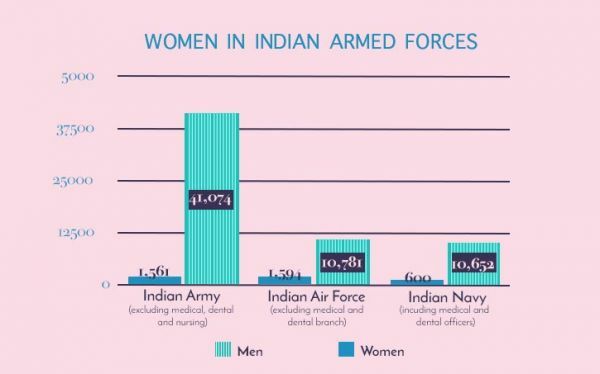 The stats look better for the Indian Air Force with 1594 women and 10,781 men. Keeping in mind that the forces have only just started officially recruiting female pilots since 2016, this is a huge and fairly recent step towards change. 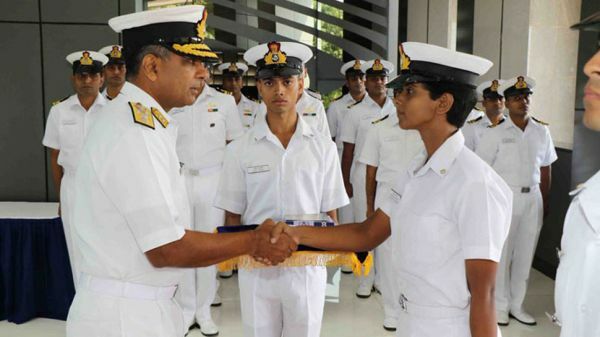 However, the Indian Navy has a long way to go since the change implemented last year as they have all of 644 women officers, including medical and dental officers, as compared to the 10,652 men posted in the services. So, here we are, patiently waiting for a change to come along in the Indian Armed Forces. 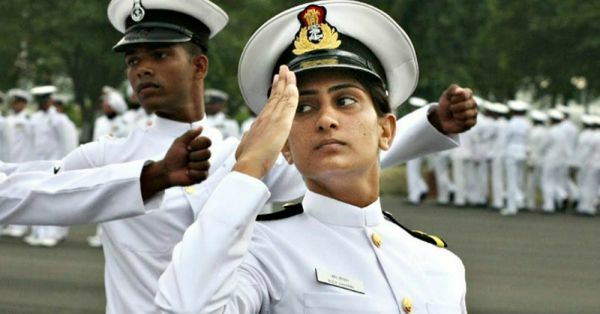 Where the Indian Navy has already finalised the policies for Permanent Commission for women officers in Law & Education and Naval Constructors branch, the Indian Army is yet to take notes and follow suit. 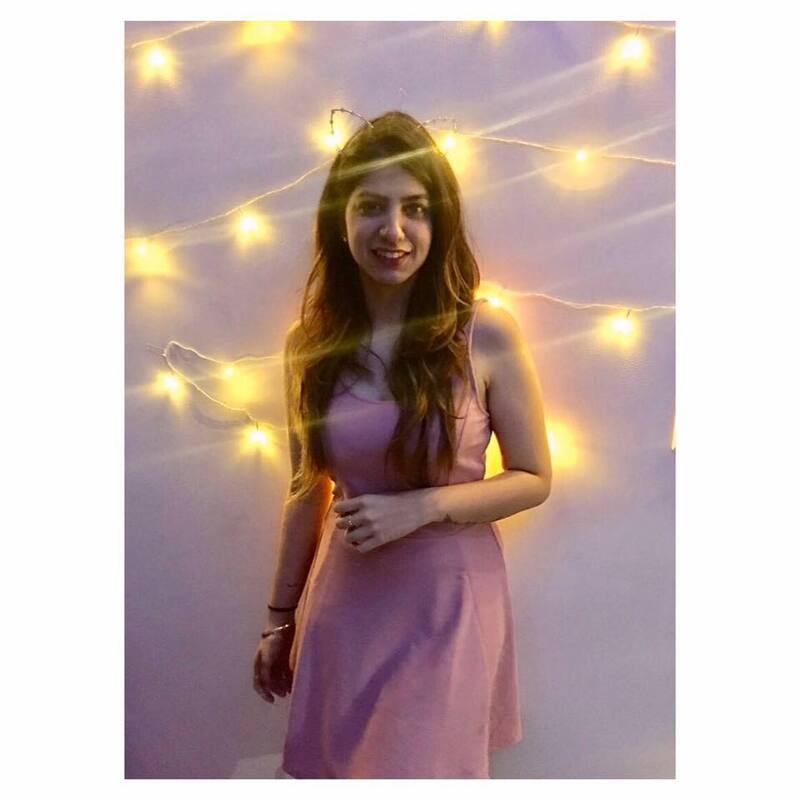 The details of these findings were released in a report by Raksha Rajya Mantri Dr. Subhash Bhamre on the 12th of March, 2018.